Full of texture and light. Like an old, faded, priceless antique photo the contrast is reduced but you are left with a feeling of curiosity mixed with wonder and awe. It is modern yet timeless; containing layers upon layers of rich descriptive dialogue. Our young protagonist Lucy is living in a world rich with history. Antiques and especially first edition classic books are her joy. She is also steeped in the world of Austen and Bronte; writers that I have personally loved since childhood, which made this book quite special to me. I find it a truly inspiring experience to see Lucky working through a personal journey, in essence, with help from these classic writers and others such as Wordsworth and Beatrix Potter. You will experience the love, hope, joy, and restoration brought about by Lucky’s painful searching and honesty to both herself and those she has wronged. You may discover as Lucy did that it is necessary to realistically accept people for who they are as opposed to what you want or may even need them to be. Ultimately your choices are your own and your response to poor choices tells a great deal about your character. There are many books that I read that I feel a need to address certain issues that go against my biblical worldview. This is not one of those books. It is a light Christian fiction story and I just didn’t delve into the theology of the story, because if there was any it was very much in the background. Instead I relaxed and enjoyed it. 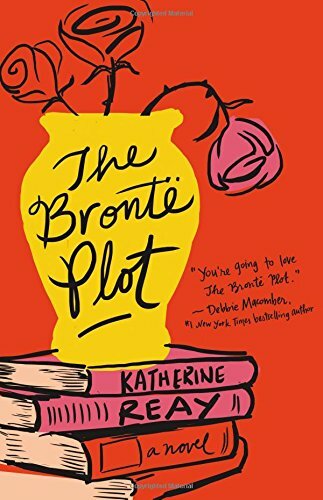 I found that The Brontë Plot was such an enjoyable read that I began inhaling it; reading for long stretches of time whenever I could. A snuggle up by the fire with a cup of hot cocoa on a snowy day kind of story. Relax and enjoy it. Katherine Reay has enjoyed a life-long affair with the works of Jane Austen and her contemporaries—who provide constant inspiration both for writing and for life. She is the author of three previous novels, and her debut, Dear Mr. Knightley, was a 2014 Christy Award Finalist, winner of the 2014 INSPY Award for Best Debut, and winner of two Carol Awards for Best Debut and Best Contemporary. Katherine holds a BA and MS from Northwestern University and is a wife, mother, runner, and tae kwon do black belt. After living all across the country and a few stops in Europe, Katherine and her family recently moved back to Chicago.